Life gets crazy sometimes, we get busy, we have new changes we don’t expect, and we add on new stress to our already stress filled life. Over the past couple of weeks my life has been hectic and a bit confusing. Confusing meaning that as the summer has slowed down, my mind has caught up with the fears of the future and recent experiences that I still am processing. Almost like a rapid swing in my mind, which is an attack against my spirit. Like most attacks from the enemy, it creeps up before I have time to retaliate. It’s so frustrating, I want to move on and grow but a cage keeps trying to hold me back from achieving my goals. I use a lot of visual words because I think it paints a picture of what I’m feeling. So when I face attack like this, I am also able to see that it happens to people all around me, even you. I’m not a psychic or in your head like Professor X (comic reference, check), I’m just perceptive as to how we are attacked by the enemy. Maybe you are feeling like you’re not good enough, maybe you’re questioning where you are in life, or maybe you feel like you can’t go any further. I want to talk to you, whether you feel like your struggles aren’t big or if you think the world is closing in on you, this is for you. I want you to know that you can get through it, and you don’t have to fear the attacks anymore. This past week I was reading in 2 Corinthians, and I read a verse that captured my heart and broke me. Not because of pain, but because God used the words to bring true and supernatural comfort. 2 Corinthians 1:3-7 says, “Praise be to the God and Father of our Lord Jesus Christ, the Father of compassion and the God of all comfort, who comforts us in all our troubles, so that we can comfort those in any trouble with the comfort we ourselves receive from God. For just as we share abundantly in the sufferings of Christ, so also our comfort abounds through Christ. If we are distressed, it is for your comfort and salvation; if we are comforted, it is for your comfort, which produces in you patient endurance of the same sufferings we suffer. And our hope for you is firm, because we know that just as you share in our sufferings, so also you share in our comfort.” This was so powerful to me, mainly due to that one word used over and over in this passage, comfort. I want to spend the next few paragraphs and share what this passage means and how we can be comforted in everything we experience. Christ stands with us through our trials. One of the biggest lies the enemy tells us is that in the midst of our struggles, we are alone. Notice how I said that was a lie. What the verse above shows is that in all of our troubles, Christ has not only experienced them before, but that he gives us complete comfort. Even when it feels like no one is there on our side and that nothing can change, Christ is there, waiting for you to reach out so he can give you complete comfort. In my life, so many times I try to fix things all on my own and rely on my own strength to make it, this never works out. Once we set aside our pride and ask God for his strength and not our own, we step into the comfort and support that only he can give. So remember that no matter how hard it is or how bleak life begins to seem, Christ will walk alongside you and give you the strength to carry on. In the comfort of Christ, we grow. Life will be difficult, that is one truth you can always count on, but what we forget is that in our suffering, we grow. We grow in endurance and wisdom, things that will equip you for the future and help those in need. In every story with a hero, the hero goes through immense hardship. They hit a huge low, but never stay there, they rise up. The hero takes what they learned and move forward, they bring others around them that they learn from to grow even stronger, and in the end they become legends. This is what God wants us to do, to not stay down but to rise up and become legends. Don’t lay in your struggles and say you can’t go on, that’s the enemy holding you back because he is afraid of how you will influence those around you with our stories. Rise up in Christ and show everyone around you how they can make a difference no matter what they are going through. Rise up and become a legend for Christ. Once we rely on Christ, nothing can stop us. After that main piece of scripture, there is a verse a few lines down that shows how we are powerful in Christ. 2 Corinthians 1:9 says, “Indeed, in our hearts we felt the sentence of death. But this happened that we might not rely on ourselves but on God, who raises the dead. When I say nothing can stop us in Christ, I mean it. Christ has power over death, we can stand with the God who has defeated death. Nothing can stop you from stepping into you potential when you choose to stand in the comfort of Christ. We struggle, but we have the ability to stand in one who can deliver us from all things. We just have to choose him, which means not living for ourselves. Becoming dependent on Christ, rather than living independent for our own worldly goal. God has a plan for you that is bigger than you can imagine, he will use you to influence others and save lives. Nothing can stop you in Christ. Life throws a lot at us, some is from spiritual attack and other times we just have to face the stress that is produced from what we do. It feels like we have to face an army that is much more equipped and ready to shred us. 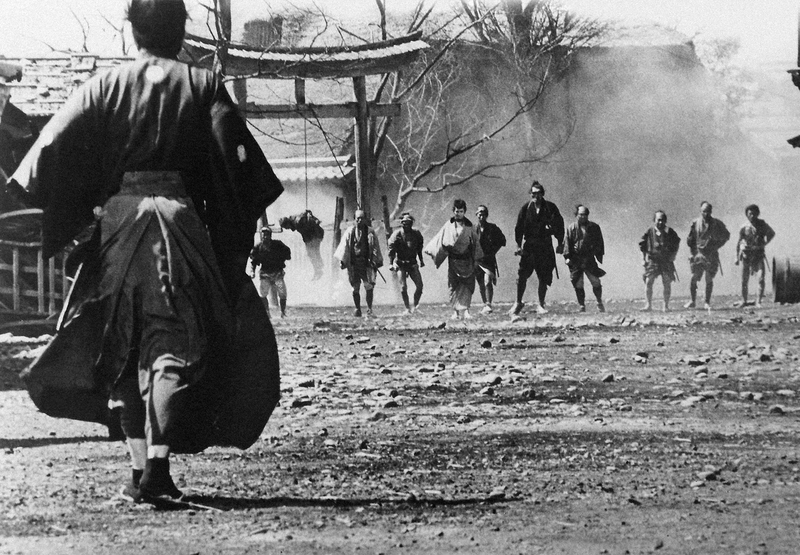 I’m reminded of the Akira Kurosawa movie, Yojimbo, which tells the story of a wandering samurai who stumbles upon a town that is persecuted and in the midst of horrible chaos. The main character has his own struggles, but takes it upon himself to stand up to the opposing force in this town. He ultimately defeats the odds by himself and a supernatural strength he has been given. He frees the town and knows that his purpose has been fulfilled. It’s a great representation of how we look at the chaos in our lives and feel powerless to stop it. In Christ we have the supernatural ability to not only defeat the enemy, but step into what we were made for. When we turn to Christ for our comfort, we have the ability to step into what we were made for. Our problems are real, but God is bigger. Step into your potential and rely on Christ no matter what you are dealing with. Stand with Christ, and become the person you were meant to be.